The Veronicas Announce New Single "The Only High"
The Veronicas performed "In My Blood" in body paint at the 30th annual ARIA Awards. It’s always a cause for celebration when The Veronicas release new music. The Aussie twins return with their first single of 2017 on Friday (June 2) and “The Only High” sounds like another slick synth-pop anthem — at least from the video teaser. (It should be noted that the version used in the clip is a remix). As usual, Lisa and Jess deliver visually. They conduct a high fashion shoot on top of a building, next to burnt-out cars and surrounded by pretty flowers. I love their new peroxide blond hair and chic styling. “The Only High” is the third taste of the enduring duo’s fourth LP. “In My Blood” topped the charts in Australia and generated a lot of buzz around the world, but the follow-up (“On Your Side”) didn’t connect as well despite a Ruby Rose-directed video. 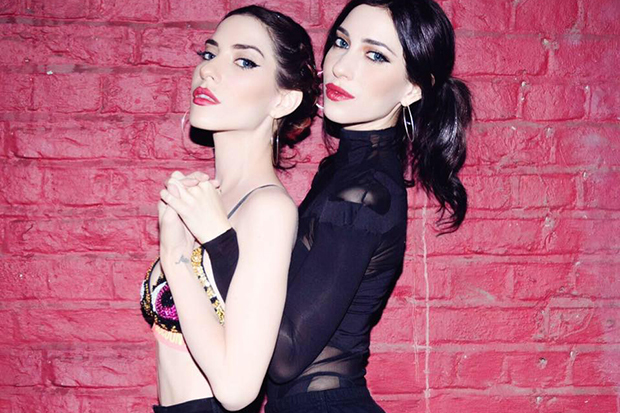 The Veronicas have been working on the album since 2014, so there’s a lot riding on their new single. Given their track record, however, only a fool would bet against them. Watch their dreamy video teaser below. Are you excited for their new single? Let us know below, or by hitting us up on Facebook and Twitter!